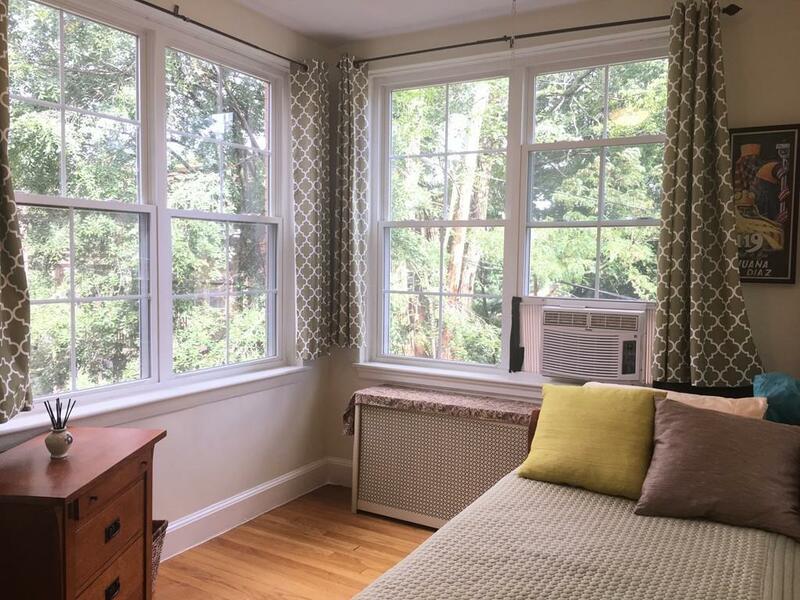 Rarely available: Affordable corner 2 bedroom home in a leafy wooded enclave just blocks to Pond, JP Center, Bus and the T! Lovely granite/stainless kitchen which opens to comfortable living room. Gas cooking, wonderful light through recent replacement windows, low fee includes heat/hw, private storage room, common laundry and patio, strong association with 2014 Boiler, approx 2005 Rubber Roof, large reserve, all combine to round out a special opportunity in this impressive pet friendly building!